Is your second toe like four inches long??? mystery3 Is your second toe like four inches long??? Was hoping for something more gruesome. Disappointed 😞. 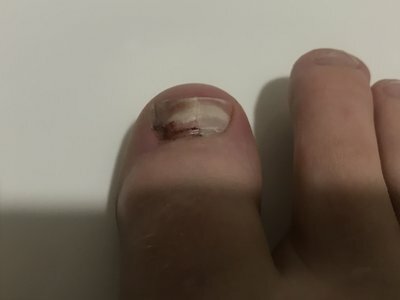 I have found if you put a bandaid or a piece of tape over your toe nails before you put them in the boot, helps from this from happening sometimes. look at it in a positive way; when it falls off, dont have to cut it for another 6 months. I had an ingrown toenail yesterday. I just cut the Fucker off and jabbed the bubble of questionable bodily fluids until it drained. Surprisingly no blood here. Very surprised. 50Kal Was hoping for something more gruesome. Disappointed 😞. just removed my big toe nail for the 6th time. Luv skiing. Got any more feet pics ? Lol it’s not, it just cracked weird.